A unique piece of cookware, specifically designed and handmade in the UK for lovers of authentic Tandoori Cooking. Traditionally a Tandoori Pot or Tandoori Oven is used over a fire. This specially designed terracota tandoori pot will help you create authentic Tandoori dishes in your own oven at home. 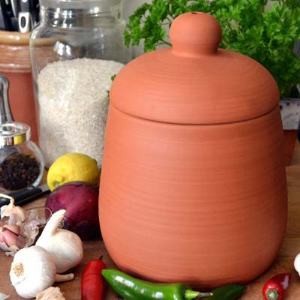 The Tandoori pot is made of terracotta, hand thrown it can be heated to the highest temperatures, so enabling you to create the effects of a traditional Indian Tandoori within your own oven. During cooking, steam condenses on the lid of the pot and in effect, bastes the food in it's own juices throughout cooking. 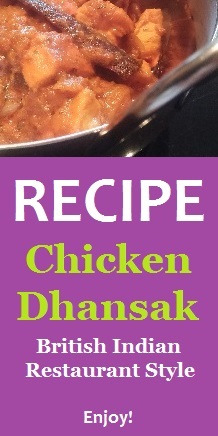 When cooked, the food will be moist, tender and full of flavour. The Asian Cookshop Tip: ''The best method for cleaning, is to use a stiff washing up brush with hot water. A little washing up liquid is also ok. Because the tandoori pots are unglazed they may be more difficult to clean than cookware with a glazed interior. But most people still prefer using unglazed cookware, as it gives better flavour over time, with layers of flavour building''.